Update: Broward County has reportedly approved recounts in four Florida races, according to CNN, while the Florida Secretary of State Ken Detzner has ordered them in tight races for Senate, Governor and Attorney General Commissioner, and has ordered a statewide machine recount. As a noon deadline on Saturday to submit the election results approached, former GOP Rep. Ron DeSantis led Tallahassee Mayor Andrew Gillum by less than 0.5%, which would require a machine recount. In the race for Senate, Gov. Rick Scott’s lead over Democratic incumbent Bill Nelson had shrunk to less than 0.25 percent – which would require a hand recount of all ballots unable to be tabulated by machine. 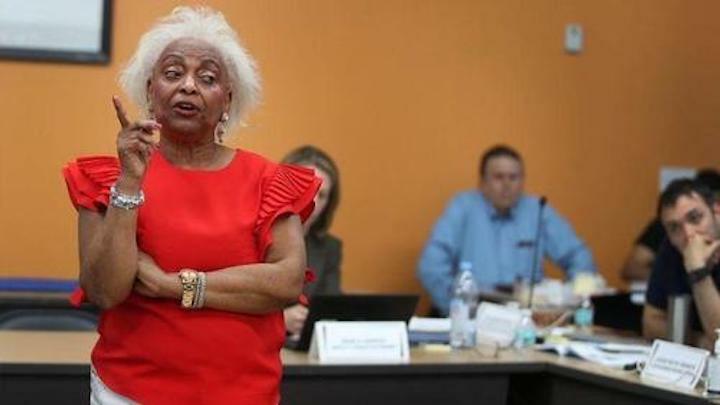 After a Florida Judge ordered Broward County Supervisor of Elections Brenda Snipes to allow for the immediate inspection of tens of thousands of ballots suddenly found after Democrat Sen. Bill Nelson lost to Republican Gov. Rick Scott, Snipes failed to abide by a 7 PM deadline set at the emergency hearing. Instead, workers were filmed by Rep. Matt Gaetz (R-FL) shuffling boxes into a truck, before he was forcibly removed by a police officer. Andrew Pollack recorded this video today at the Broward County Supervisor of Elections Office where ballots are being counted. The video shows multiple big box trucks pulling up to the building’s loading dock. The scene was reminiscent of election night, when Broward County election officials were seen shuffling mystery boxes into a rented truck. Gaetz vowed earlier to hold Snipes in contempt for missing the 7PM deadline. 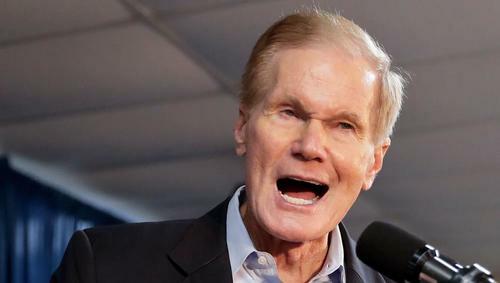 The court was asked to intervene in a tight race for US Senate between Democratic incumbent Sen. Bill Nelson and Republican Gov. Rick Scott, after tens of thousands of ballots mysteriously appeared in Broward County, and another 15,000 in Palm Beach. Lawyers for Snipes have argued that such a quick response would interfere with the count, while Rep. Bill Nelson has accused Republicans of trying to deny him a seat which he believes he will keep once all the votes are counted. Republicans have conversely accused Democrats of trying to steal the election. Snipes has a sordid history in her 15-years on the job. In May 2018 a judge ruled that she violated federal and state laws by destroying ballots in a 2016 Congressional race in Tim Canova’s bid to unseat Rep. Debbie Wasserman Schultz in the Democratic primary race. In August, 2018 a Judge ordered Snipes to stop opening mail-in ballots in secret. In 2016, Snipes’ office “accidentally” posted the results of an election 30 minutes before polls closed at 7 p.m., which was blamed on a private contractor. Snipes is being backed by Bernie Sanders – who was admonished by Tim Canova for supporting the woman who destroyed ballots in his bid to unseat Wasserman Schultz. Rep. Gaetz, meanwhile, is being called a racist for trying to figure out what exactly is going on in Broward County.